Resource > Blu-ray > How to Rip 3D Blu-Ray to Google Cardboard? Summary: This article gives a brief introduction to Google Cardboard and shows you how to rip and convert 3D Blu-ray to Google Cardboard with ripper tool like DVDFab Blu-ray Ripper. It offers a very simple and fun way to experience virtual reality and the world of immersive technology that is geared towards games, movies and much more in 3D and not 2D anymore. There are apps that allow you to download 3D content to your device, a smart phone, which you can place it inside the cardboard, fold it, and look into it through the lenses. This is the a simple device with a pair of lenses that allow you to watch a movie in SBS format, also known as the side-by-side format that gives you an impression of watching something in 3D. It is immersive and looks very real with a bundle of apps that are made entirely for the same purpose. If the content is not rendered properly, such as the head movements, binocular vision, and tracking, the immersion fails and this is dealt with the app developers that can create beautiful contents. The ability to use the same 3D movies and video collections from Blu-ray discs, rip Blu-ray to Google Cardboard compatible file type that can be viewed with it, is simple and straightforward. The things you must need are a Cardboard, a smart phone and a software that will do the conversion from Blu-ray 3D file format to the SBS file format for the smart phone. A typical side-by-side file or media can look something like this below. It is called SBS because of the split screen viewing type that plays the same media twice placed beside each other horizontally. In order to get the content from your Blu-ray discs to start looking like that you have to do some file conversion using the software. There are good softwares in the market both for free and paid like EaseFab, DVDFab, and much more. These do the following stuff from the encrypted Blu-ray discs you have at home. The Blu-ray file format can be arranged in Blu-ray folders, ISO images and so on to store the 3D movie in a “frame stacked” format as it is called in layman terms. It is not ideal for viewing on a Google Cardboard, so you need to rip Blu-ray to Google Cardboard type. The ripping process is a simple or complex task depending on the software you are using. It can take somewhere from minutes to hours depending on the length of the movie, the size of the Blu-ray disc (often it can span between 50 GB to 100 GB), the CPU, the GPU and RAM of your computer. Therefore, the computing resources in terms of hardware and the software that can make use of that hardware also count towards the swiftness in decrypting the content from a Blu-ray disc to another file format such s AVI, MKV, FLV etc. but in 3D type. These files, after the conversion has to be transferred to the MicroSD card, placed inside your smart phone, put the smart phone inside the Google Cardboard flap, and playback the media file using its media player. The charm happens due to the combination of the lenses and the SBS video playback mode. This is what makes it so cheap and affordable. DVDFab Blu-ray Ripper is an amazing tool that can rip 3D Blu-ray to Google Cardboard at extremely fast speed. It has prepared many 3D profiles like 3D AVI, 3D MKV, 3D MP4 and more for you to choose. After choosing a 3D profile, you can go to “Advanced Settings” panel to set the 3D video as SBS format. The whole process of ripping 3D Blu-ray to Google Cardboard is pretty easy: load the 3D Blu-ray source, choose a 3D profile, go to “Advanced Settings” to select the 3D format as “split screen” and then click the “Start” button. DVDFab Blu-ray Ripper is one of the fastest ripping tools. Its support to multi-threading,multi-core, the latest NVIDIA CUDA and Intel Quick Sync all contribute to its remarkable speed. So after you click the “Start” button, you can get a SBS 3D video within a few minutes. And then you can put the SBS 3D video to your smartphone to enjoy it through the Google Cardboard. DVDFab Blu-ray Ripper provides a 30-day free trial, during which period you can enjoy all its features freely. It is available for Windows, Mac and Linux systems. This is a wonderful tool to rip Blu-ray files of any size and type up to 6X speed, may not be 4K UHD ones though that are stricter in encryption, read them, and allow conversion to other file formats like 3D MKV or 3D AVI and so on. These are available in form of presets and you just have to choose it from a list or drop-down menu, as a user. 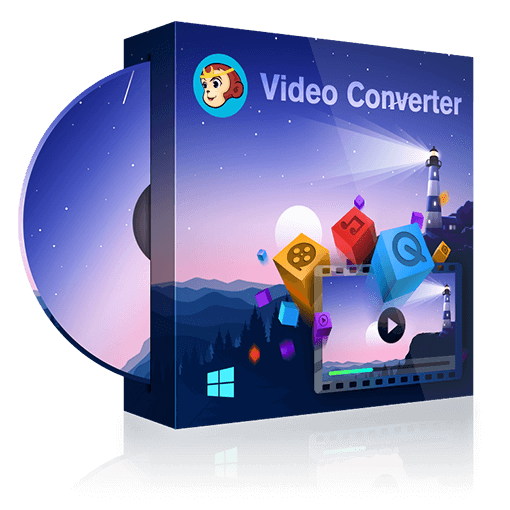 The end user just has to add the 3D Blu-ray media files from the disc player, after launching the program, preview the movie from the list of titles it can read from that disc, choose which one to convert, select an output file type, and click on “Convert”. The 3D Blu-ray does the conversion of frames one after another for each eye and thus follows a frame stacked manner. This is presented to the user in a high frame per second such that the immersion is real-time and unstopped. The ripper also allows you to convert these into over 180+ file types including iOS. It has both Mac & windows versions for free and paid. Then, you can also put your iPhone into the Google Cardboard, and enjoy the 3D movies and videos. The content production and availability in the market in 3D is the main reason for doing such conversion. Do you want to burn your videos to a Blu-ray and create your own Blu-ray menu? Check the list of top 5 best Blu-ray authoring software programs to find the professional Blu-ray Authoring tools for Mac and Windows.